Tired of sending individual replies when you have the same information to share each time? Deploy a customizable autoresponder to greet incoming texts with a personalized message. We’ll start with a fresh Twilio Studio flow; log into your Twilio account and navigate to the Studio Dashboard, then tap the + icon to create a new flow. You can name your flow anything you like; we’re calling ours SMS Autoresponder. This flow only requires one widget -- the Send Message widget. Drag one onto the canvas, and connect the dot from the Incoming Message trigger to the dot in the upper left corner of the new widget. In the right sidebar, enter the message text of your choosing in the field marked Message Body. This can be anything you’d like to send to everyone who texts your number -- reminders, requests to call, website information. Your canvas is now set up! 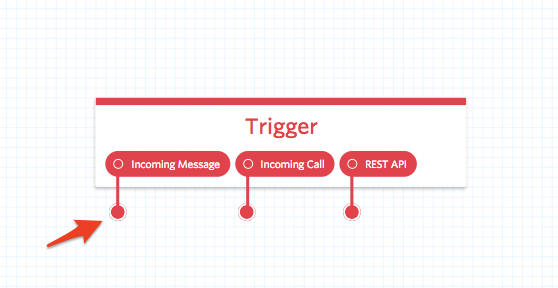 Now, let’s connect the flow to a Twilio number so you can set up the auto-responder on your personal line. Navigate to the Phone Numbers section of the Twilio Console, and select the number you’d like to forward from. Scroll down to the Messaging section, and select Webhooks, TwiML Bins, Functions, Studio, or Proxy from the first dropdown. Select Studio Flow next to the “A Message Comes In” dropdown, and choose the flow that you just created to attach it to the number. Click Save in the widget form, then click Publish at the top of your flow to make your changes public. Now you can test out your auto-responder! Send an SMS to your Twilio number, and the response should arrive immediately. Changing your auto-responder message is as easy as tapping the Send Message widget and writing new copy!